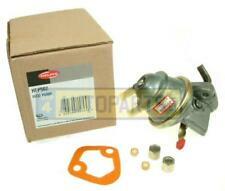 Land Rover Discovery 1 - 300Tdi Fuel Pump & fittings (Delphi). Suitable for ALL Land Rover Discovery 1 - 300 Tdi vehicles. ALL Land Rover Defender 90 / 110 / 130 - 300 Tdi vehicles. ALL Range Rover Classic 300 Tdi vehicles. ERR5057D Pump Fuel (Delphi) Defender Discovery 1 Range Rover Classic. Defender (Not Nas) Discovery 1 Range Rover Classic. Fuel Lift Pump. Pictures are for reference only and specifications may alter without notice. DELPHI: HFP501. OE: ETC7869. DIESEL LIFT PUMP TO FITLAND ROVER TDI 200. DIAPHRAGM TYPE. LENGTH: 150MM. KIT FUEL PUMP INCLUDING NUTS OLIVES Fuel Lift Pump For Land Rover Applications Fitted With Tdi 300 Engine. This Reference Is For an OE Branded Delphi Product And Includes New Nuts, Olives, And Gasket. Fits:- - Land Rover Defender tdi 300 - Land Rover Discovery I Tdi 300 - Range Rover Classic Tdi 300 Please Also See Our Separate Listing For Alternative Cheaper Replacement Brand. 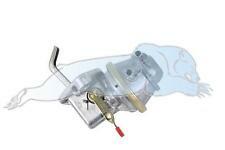 Other Engine Parts Also Stocked See Our Other Listings or email Us. 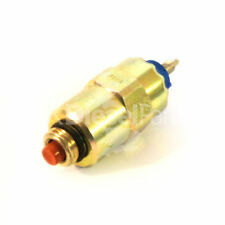 Genuine Delphi Stop Solenoid 12V - 9108-073A - Fits Multiple Applications. 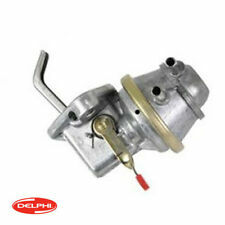 Why Buy A GENUINE DELPHI Stop Solenoid From UK DIESEL PARTS?. Simply fit the new solenoid and drive away. UK Diesel Parts Stop Solenoids are supplied by an OE quality manufacturer that has passed our rigorous quality checks and is ISO9001/TS16949:2002 certified approved supplier. Complete with nuts, olives and gasket this is suitable for all 300tdi land Rover engines. L R Parts Ltd is an authorized Bearmach distributor, we specialize in new Land Rover Spares, stainless steel bolt sets for Land Rovers and general maintenance parts. Part number : ERR5057D. DIESEL FUEL LIFT PUMP. Land Rover. Discovery 1. Range Rover Classic. Recovery 4x4 are authorised distributors for Allmakes 4x4, Bearmach and Britpart Land Rover parts and accessories. Search “Delphi Online Catalogue”. The only way to be 100% sure that the part will fit your vehicle is to check the part number on your original unit matches one of the above. Any information in the compatibility table is for reference only and there may be unspecified choice options. 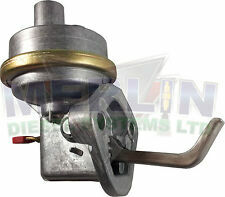 Fuel Lift Pump For Land Rover Applications Fitted With Tdi 300 Engine. This Sale Is For an OE Branded Delphi Product And Inlcudes New Nuts, Olives, And Gasket Corresponds To Land Rover Part Numbers ERR5057 Fittings Fits:- - Land Rover Defender tdi 300 - Land Rover Discovery I Tdi 300 - Range Rover Classic Tdi 300 Please Also See Our Seperate Listing For Alternative Cheaper Replacement Brand. 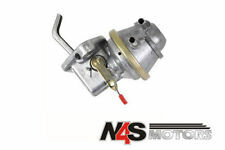 Other Engine Parts Also Stocked See Our Other Listings or email Us. DELPHI HFP502. LAND ROVER TDI 300. DIAPHRAGM TYPE. DIESEL LIFT PUMP TO FIT. INLET AND OUTLET PORT SIZES: PUSH ON. (DPA: 3240096. we need your old pump). Here at Sheaf we are specialist diesel injection repair engineers. LAND ROVER DISCOVERY 1 1989-1998 300TDI FROM 393361-WA799999. LAND ROVER RANGE ROVER CLASSIC 1992-1994 FROM JA610294. LAND ROVER DEFENDER 1987-2006. We are happy to help you. Parts colour may very due to manufacture production. LAND ROVER DISCOVERY 1 1989-1998 300TDI FROM 393361-WA799999. PARTS COLOUR MAY VERY DUE TO MANUFACTURE PRODUCTION. LAND ROVER DEFENDER 1987-2006. LAND ROVER RANGE ROVER CLASSIC 1992-1994 FROM JA610294. LAND ROVER ERR5057. We will always attempt to rectify the issue as fast as possible! We just want you and your car to be happy! You'll have the part ASAP. With this in mind, we will indicate what type of product you are looking at within the following guidelines. Part Number FE10088-12B1. Land Rover. 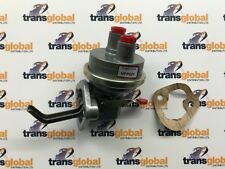 LAND ROVER Fuel Lift Pump 300TDI - ERR5057D. Discovery 1, Range Rover Classic, Defender. We are a 4x4 and Performance Specialist based in Gateshead close to A1 and A19. 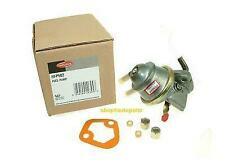 Genuine Delphi Stop Solenoid 12V - 9108-073A. Stop Solenoid. Global Auto Parts Stop Solenoids are supplied by an OE quality manufacturer that has passed our rigorous quality checks and is ISO9001/TS16949:2002 certified approved supplier. 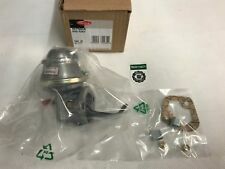 Land Rover Defender 300Tdi Fuel Pump & fittings (Delphi). Land Rover Defender 90 / 110 / 130 - 300 Tdi vehicles. Suitable for ALL Land Rover Discovery 1 - 300 Tdi vehicles. Range Rover Classic 300 Tdi vehicles. Part Number: HFP501. 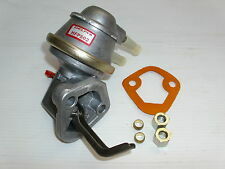 Delphi Feed Pump - Part No. We apologise in advance for any inconvenience caused. Rated Current There may be on occasions more than one compatible part for your vehicle. Then at our discretion we will decide the next course of action. We will do our best to answer as fast as possible.